There has never been a better time to install solar than right now. Lower product and installation costs and the huge government rebates mean that you can start saving money even faster. The Sunshine Coast Solar Centre has many years of experience in the solar industry. Add to this our state of the art technology and methods and you have an unbeatable combination. So whether you want solar hot water or solar power (or both of course) The Sunshine Coast Solar Centre is here to help. There are 2 very different ways of utilising the energy from the sun on your home or business. 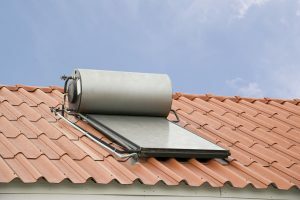 Solar Hot Water uses heat from the sun to provide hot water. Solar Power uses sunlight to create energy from solar panels. 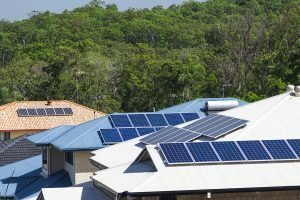 If your home is connected to the power grid it makes sense to install a residential grid connected solar power system whereby surplus electricity generated can be sold to your energy retailer. 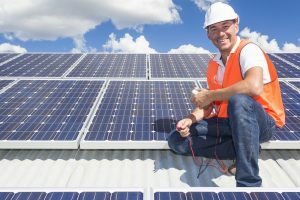 If your home is not connected to the power grid (off grid) you can still use solar panels to power your home. The difference is that the electricity has to be stored in batteries so power is available 24 hours of the day. Did you know that you can save between 50% and 90% of your hot water energy costs! You can also reduce your household greenhouse gas emissions by up to 25%. That’s the equivalent of taking a small car off the road every year! The cost of technology is falling and electricity prices are rising! With the cost of technology falling there has never been a better time to install a solar power system to provide electricity. Did you know that the excess electricity that your solar system generates is sold back to the electricity company and a Solar Power system installed by Sunshine Coast Solar Centre can give you a financial return in excess of 15%? Not connected to the grid? No more electricity bills! It is now possible to install a solar system that not only generates electricity but also stores it. This means that your house could be completely disconnected from the electricity grid – that’s right no more electricity bills! We often have special offers and deals on our Solar Edwards Solar Hot Water and Solar Power packages.